This Bowel Cancer Awareness Month, we’re backing Lauren Backler petition to lower the screening age to 50, started in honour of her mum who sadly died from bowel cancer at 56 years old. A staggering 418,000 people signed in support so that people in their 50s are given the same chance of early diagnosis as those in Scotland. Lauren tell us why this is such an important issue. It was in accident and emergency at our local hospital that my beautiful mum was finally diagnosed with bowel cancer in December 2014, she was only 55 years old. She had been back and forth to her GP and was told the problem was most likely to be kidney stones, so her diagnosis shook our family to the core and was something none of us had seen coming. We were told within a few days that her cancer was terminal, and she started palliative chemotherapy immediately; but it was already too late. She passed away just over three months later in March 2015. Words can’t describe how much she is missed and the huge impact her loss has had on all of us. She was the most selfless, kind and compassionate person I’m sure I will ever know. The month after her death, April, is bowel cancer awareness month. At the time there was a lot in the media about bowel cancer, and I did my own research into the disease as I knew very little about it. It was then that I realised the discrepancy in screening age across the UK. 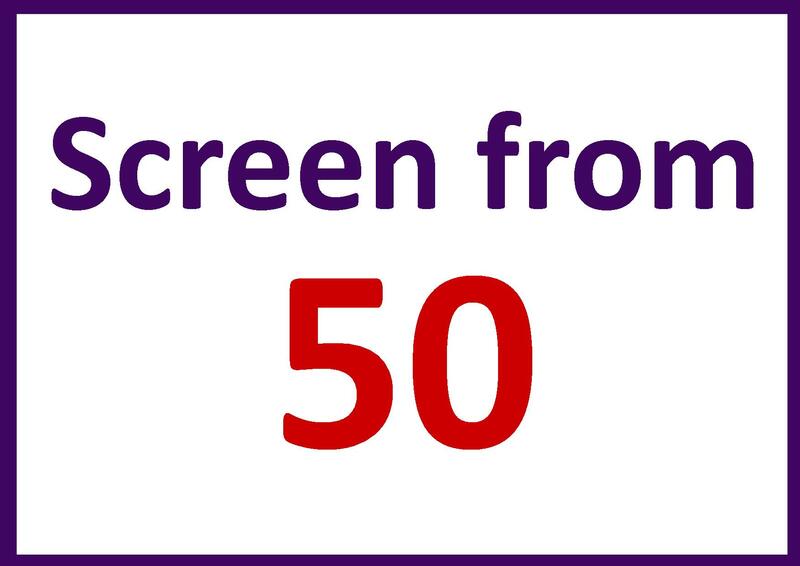 In Scotland, screening for bowel cancer starts at age 50. In England, Northern Ireland and Wales, bowel cancer screening doesn’t start until age 60. I was furious; this screening could potentially have been the difference between life and death for my mum. She would have been screened three times before she was actually diagnosed had we lived in Scotland. Bowel cancer can be curable when diagnosed early. So why are so many people in this age group being denied the chance of an early diagnosis? One year to the day that she had been diagnosed, I set up a petition on change.org with the aim of lowering the screening age to 50. To date that petition has over 418,000 signatures, which is completely unbelievable. With each personal story I have read that mirrors my Mum’s so much, and as the signatures have gone up, I have felt more and more determined to achieve this change, and ensure equality in bowel cancer screening for all across the UK. This campaign won’t bring my Mum back, or the countless others who have already missed out due to a lack of screening, but this could change the odds for so many thousands of others and stop their families and communities having to live with the grief and heartbreak that mine and so many others have to. To improve survival rates for bowel cancer, the NHS must use the best available screening test that detects the highest amount of cancers and screens all men and women between the age of 50 and 74, in line with international best practice. To make this a reality in England, the Department of Health and Social Care must work with Public Health England and NHS England to ensure that the NHS has the endoscopy and pathology capacity to support vital improvements to the bowel cancer screening programme that could save thousands of lives. Health Ministers in Wales and Northern Ireland must also work with local health bodies to introduce these vital improvements to the bowel cancer screening programme to ensure equal access to screening for all. Become a campaign supporter and join us to help make sure wherever you live, bowel cancer screening detects cancer at its earliest stage and saves many more lives.